Ice Road Truckers star Darrell Ward has been killed in a plane crash at the age of 52. Darrell Ward, from Montana, has been one of the featured drivers for the last five of the History Channel show’s 10 seasons. 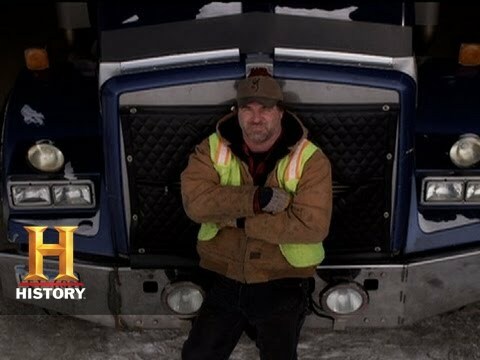 Ice Road Truckers follows drivers as they battle the elements to deliver supplies to remote communities in northern Canada. The driver had been traveling from a truck show in Dallas, Texas, to start filming the pilot for new a documentary about the recovery of plane wrecks in Montana, a statement on Darrell Ward’s Facebook page said. “Trucking has always been a large part of Darrell’s life; from running the harvest rigs with his grandparents and family, to driving trucks from Montana to Alaska and all roads in between,” it read. A History Channel statement said: “We are saddened by the tragic loss of Darrell Ward, a beloved member of the History family.